Board index ‹ Theme Park Discussions ‹ Theme Park News & Construction! 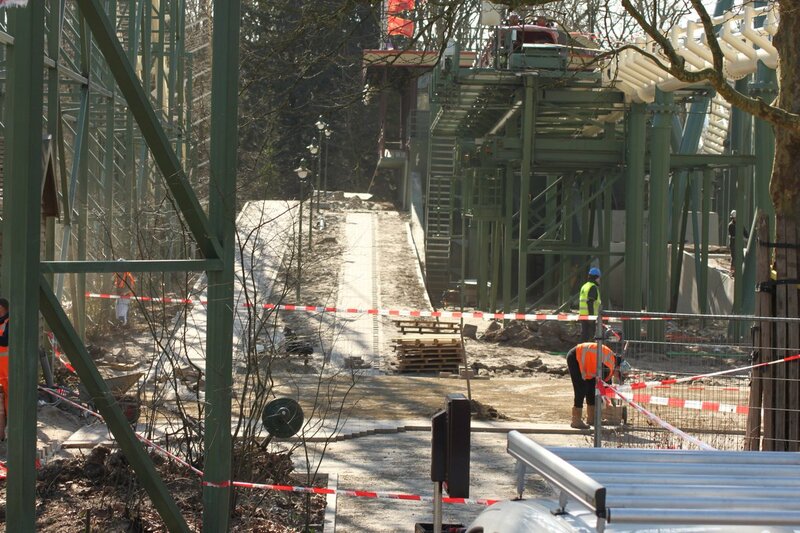 ‹ Python at Efteling to be Retracked for 2018! Re: Python at Efteling to be Retracked for 2018! It's clear that the Boarding Pass will return when you see this picture: The line is straight on, with the Single Rider Line next to it. Last edited by RCT3andNL2stuff on March 20th, 2018, 6:57 am, edited 1 time in total. Last edited by RCT3andNL2stuff on March 20th, 2018, 12:14 pm, edited 1 time in total. Wow, I’d really like to see a comparison video of the coaster! I have to comment those supports remind me of the RCT3 "steelworx" construction parts - wow! It really looks like that airtime after the loops has been completely nulled. Now the only bit left is the backseat on the first drop. I'm not too surprised by that since the Arrow air hills were always rather abrupt. Progress has been made on the queue line. It looks like that there will be music poles/boxes in the queue, could this mean that the Python theme finally will be used in the park? I'm still really intrigued to see how this goes. I've just compared the old and the new Python onride from the park. Looks like they've done a decent job all things considered! If I'm correct, the liftspeed already always was faster when there was just one train running on the track. Just so that with a two train operation they had a bit more time to fill the train at the station without letting the people wait at the brakes. The trains needed some slight adjustments. One train was running today. The other train still had to be adjusted. The ride was indeed smoother. The only thing I found weird was that the transition between the first and second corkscrew felt like it had a bit of a bump... But maybe that's just me since I've only ridden it once today. I wouldn't be surprised if you are right. When looking at the video it feels like the corkscrews have a continuous roll issue. As the rotation speed constantly changes throughout both corkscrews. I'll probably find it out myself anytime soon. WOW beautiful! Impressed with the "plastic toyish but solid" trackwork!